OPINION — Looking back over my family’s 2015 budget, I can’t help but be thankful that energy has gotten cheaper in recent years. Unfortunately, it doesn’t look like it’s going to stay that way for much longer. We have the president’s new anti-coal regulation to thank. The “Clean Power Plan,” which the Obama administration unveiled a few months ago, is a direct assault on our affordable energy bills. It’s specifically designed to close coal power plants. 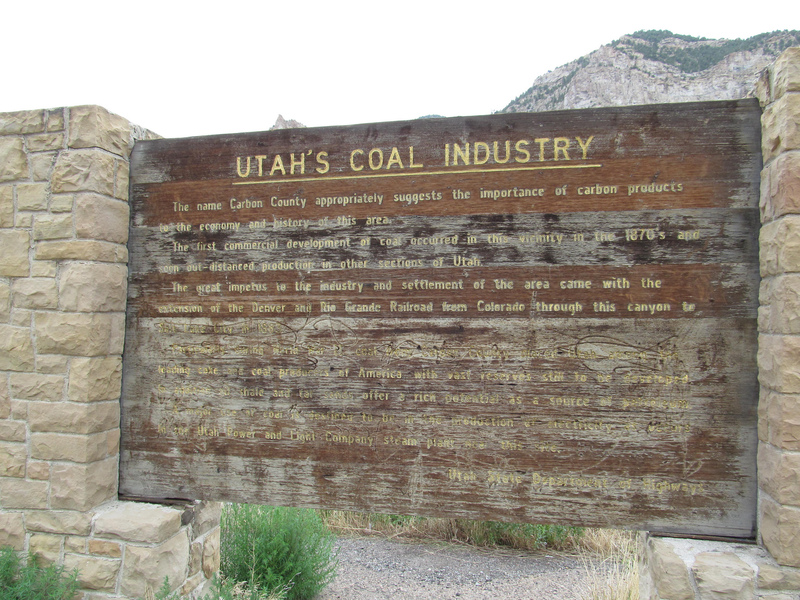 That will be devastating here in Utah – coal provides 81 percent of our electricity. That reflects the simple fact that it’s cheap and abundant – exactly what you want in a power source. When those plants start closing, my bills will start rising. One recent analysis shows that Utah residents like me are looking at an average annual energy bill increases of 43 percent – meaning they’ll almost double every two years. That’s going to be disastrous for my family. We’re already making sacrifices and trying to do more with less. Now we can expect our energy bills to start skyrocketing, with no end in sight. I don’t want Washington to control Utah’s energy policies. We were doing things right – that’s why my bills dropped so much over the past few years. Why should my family have to pay so much for Washington’s bad ideas? Letters to the Editor are not the product of St. George News, its editors, staff or contributors. The matters stated and opinions given are the responsibility of the person submitting them; they do not reflect the product or opinion of St. George News. The author of the letter relied on the coal industry’s “analysis” about the Clean Power Plan raising her fears about costs of power. Another view can be found here: http://www.deseretnews.com/article/865644134/My-view-Clean-power-plan-means-prosperity-for-Utahns.html?pg=all. My view is that if the Utah state leaders are opposed to the Clean Power Plan then I am automatically for it. They represent business and profit, I represent my children and grandchildren who need cleaner air for good health. As far as I could see, no existing plants are closing, though I’m sure that ultimately, many on the left would like to see them ALL shut down and this could be the first step. “Utah residents like me are looking at an average annual energy bill increases of 43 percent”…As my high school math teacher used to say, “show your work”. Ms. Kern, you’re right on target. Obama and the rest of the global warmist true believers say the “science is settled” but the climate models on which they put their faith are ALL demonstrably wrong. Worldwide temperatures remained flat (within measurement error) from 1998 through 2014 while atmospheric carbon dioxide climbed 25%, thanks in large part to China and India. None of these models, not one, can come close to explaining the observed data. The scientists who instigated this hoax have offered only vague “maybe it’s this or that” explanations for their models’ failures. Obama has a clear–but usually incorrect–vision of how he thinks the world should work and how he wants to reshape our nation…even if he has to use unconstitutional executive orders to do it. If elected, Hilary will follow in his footsteps. I might add that while our air hasn’t been cleaner for decades, for those who worry about atmospheric conditions, there is only one green, viable, and cost-effective alternative to coal. But it’s one you never hear from Obama and self-proclaimed environmentalists: nuclear power. Only coal and/or nuclear power can provide the amount of electricity required to come anywhere close to maintaining our current life style. Natural gas is a good peak load supplement but since it’s carbon based, it is only barely tolerated by the “green” community and only as a temporary expedient. Please let me know when you hear any of these folks explain how they plan to supply today’s level of electrical power from their favored but unrealistic “green” sources. The low price of natural gas is killing the coal industry. The cost per BTU is much cheaper; therefore, capitalism is killing coal. BTW, even China is moving away from coal because of the adverse effects of its pollution. In addition, the health costs associated with air pollution are significant. Clean energy means jobs to replace coal production jobs. The economy must modernize and move away from 19th century technology. Says who? The U.S. Energy Information Administration projects that coal power generation is now and will continue to be less costly than natural gas power generation through at least 2020. Those who claim otherwise either don’t have the facts or are anthropogenic global warming true believers who ignore facts and believe what they read in the liberal press. Natural gas is a great source of peak power since it starts up and shuts down quickly. Only the EPA’s refusal to grant construction permits forced power companies to use more costly gas-fired plants for base load generation. The EPA is desperate stifle coal power generation in response to its faith in faulty global warming models. To do so, it continues to grasp at ever-diminishing amounts of supposed health threats. The result is almost no contribution by U.S. coal fired power plants to air pollution but substantially increased costs with little or no benefit. For decades, the liberal elite has latched onto any study or trend that forecasts civilization’s impending doom. Its response is inevitably massive government intervention because the elite know what’s good for us and only they can protect us from ourselves. This view has resulted in massive over-regulation in general and most recently a continuing obsession with anthropogenic global warming in the face of continuing data to the contrary. I find the 43% number to be literally unbelievable. If your bill is now $100/month, in ten years after a 43% per year increase, it would be $3575.69/month. Even if that number was true, alternative energy would instantly become way more affordable. There is no way anyone would pay near that much for coal power. The next time I order scrambled eggs please use the eggs after they are layed and not before. BG, maybe the coal industry will hire u to be their propagandist. you seem to recite every word of their ideology like a good parrot. I cite Wikipedia and the Federal government’s Energy Information Administration, not the coal industry. You offer no facts, instead you use an “ad hominem” argument: attack the person if you can’t win the argument. If you expect people to take you seriously, you’ll need to do some homework.